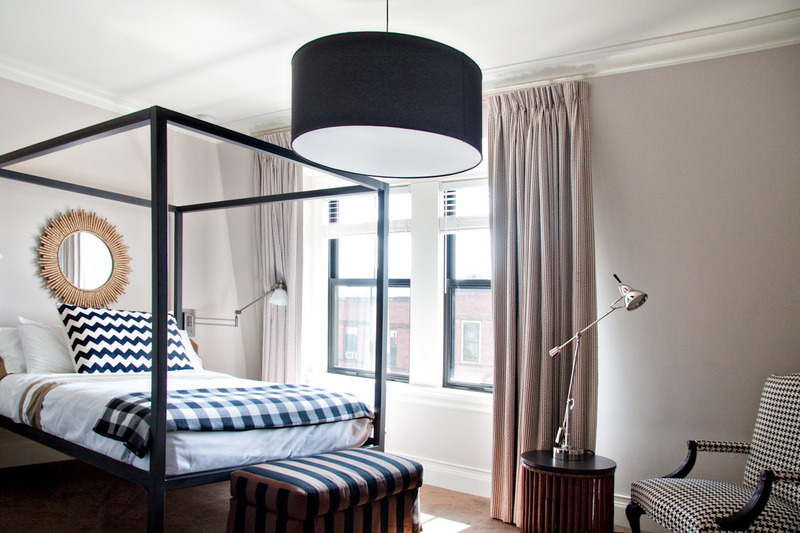 The Inn at St. Botolph is a boutique hotel nestled in a quiet neighborhood in the South End, located in a 19th century brownstone. It blends in seamlessly with the homes on Saint Botolph Street and lets guests live like locals during their stay. 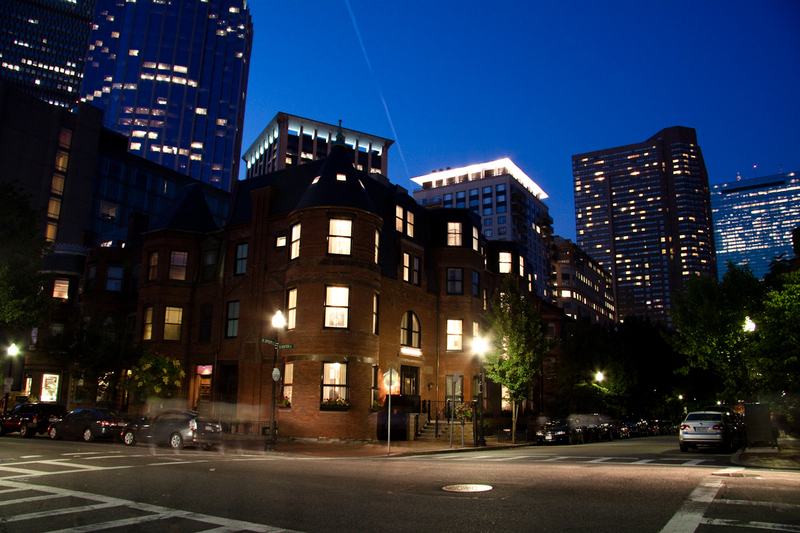 The Inn matches the charm and character of Boston’s South End. 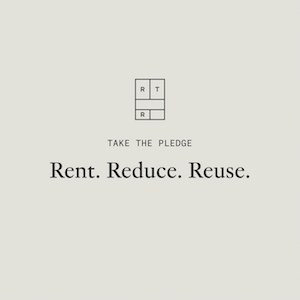 The interior was designed by Celeste Cooper, an Interior Design Hall of Fame Inductee, whose other projects include restaurants Mistral and L’Espalier, as well as XV Beacon Hotel. 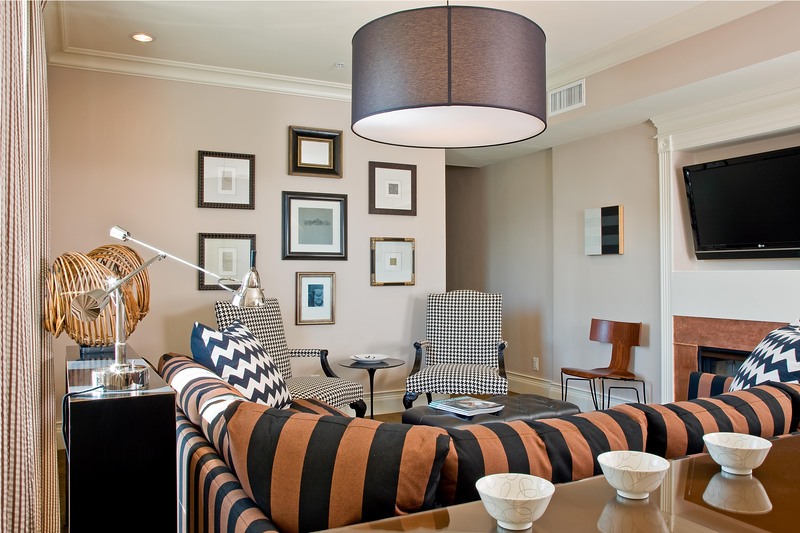 Bold black stripes, chevron and checks on pillows and blankets and houndstooth patterns on chairs stand out as statement pieces that are both classic and fresh. Rooms are clean and minimal, but also cozy and welcoming. 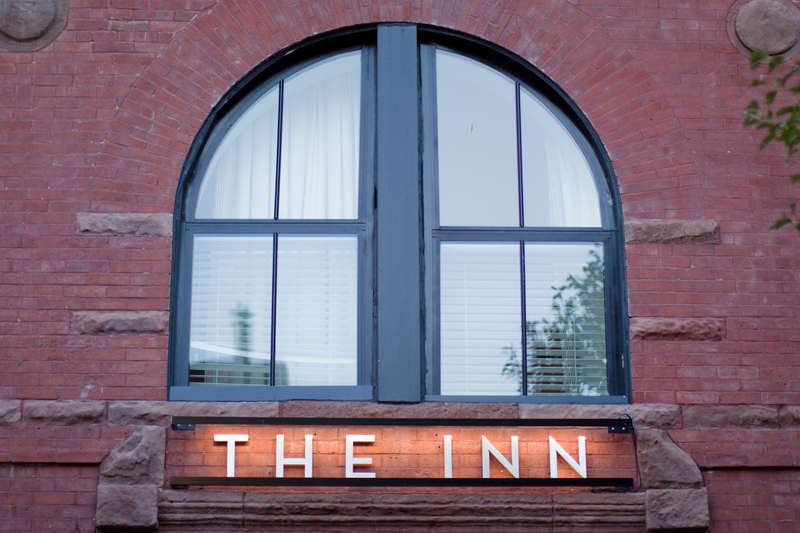 The Inn is perfect for the independent traveler who can forgo some of the extra amenities of a big chain hotel (like a valet or a porter) for more unique features like keyless entry and in-room kitchenettes. The hotel also offers daily continental breakfast in the Lounge and 25% off at some of Boston’s best restaurants like Sorellina, Mistral and Ostra. Now Available at Neatly Nested!